Parque El Ejido is the biggest park in downtown Quito, to the northeast of La Alameda. The area is pleasant with trees around. It's a popular spot for soccer and volleyball. The north end of the park is loaded with activity on weekends, when open-air art shows are held along Avenida Patria. Just inside the north end of the park, artisans and crafts vendors set up stalls and turn the sidewalks into Quito's largest handicrafts market. Entry Time: Monday to Sunday-9 am to 5pm. Entry fees: Free and open to all. 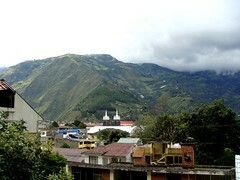 Address: La Paz, Quito, Ecuador. Contact info: +593 3 295 9632"